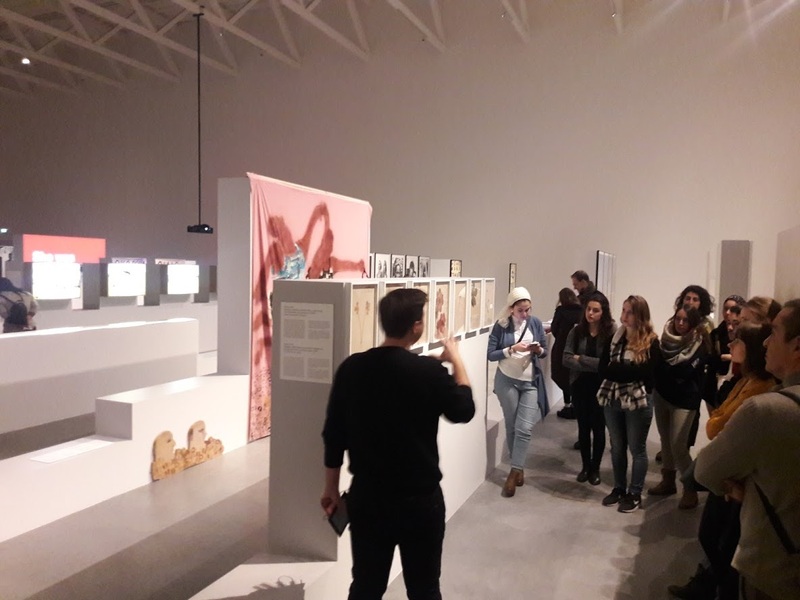 A group of students of the Natolin campus visited Muzeum nad Wisłą on Saturday, 19 January 2019. The Natolin Academy of Migration invited students for a guided viewing of the exhibition: "Women, Independence and National Discourse". 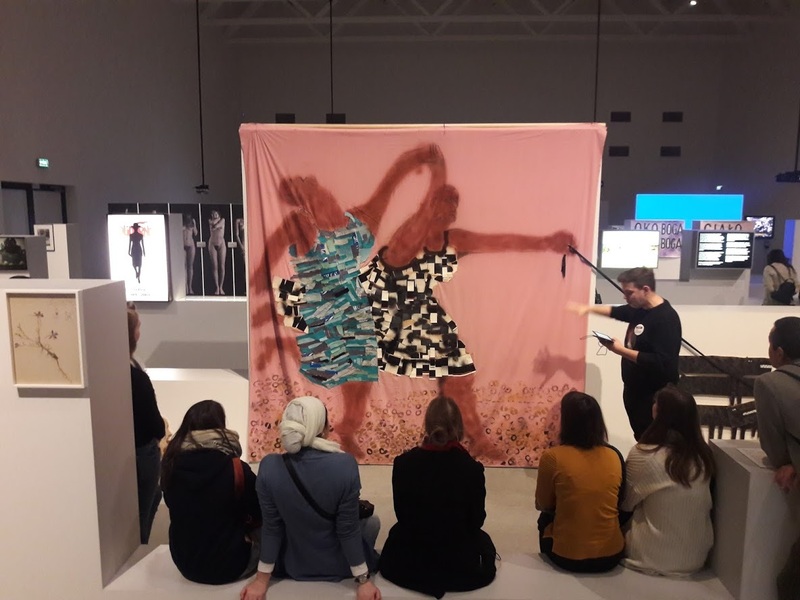 The exhibition, which examines the role played by women in 20th-century narratives of national liberation in various countries around the world, proved to be of particular interest to students interested in human rights, gender studies, migration, propaganda and history. 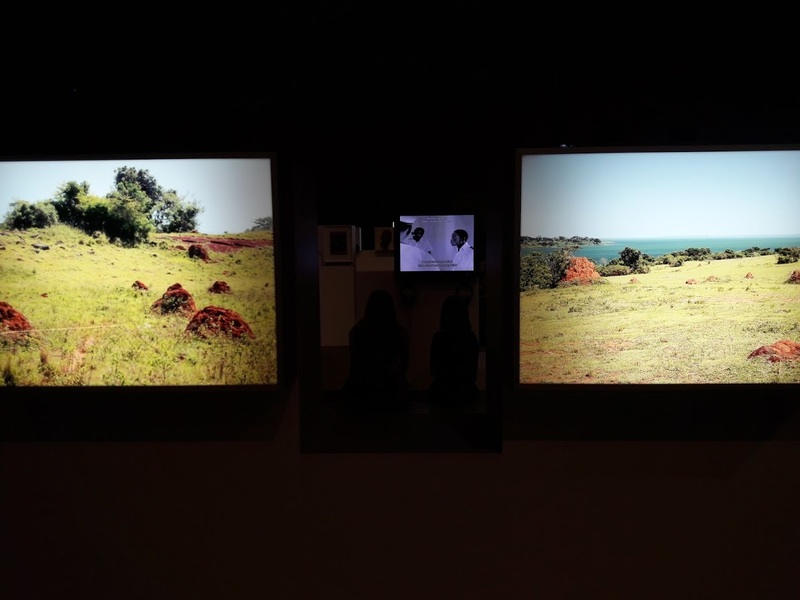 Artists examine the historical paradox of the role of women being sent to oblivion, despite their proven – sometimes even critical – engagement in independence movements. Exhibited pieces touch also upon the issues of race, culture, and exile.